Robert Kubica has finally seen a “good sign” with the Williams car starting to feel “a bit different” in China. Kubica has been pretty vocal in his criticism of the Williams FW42 given how cut adrift the team are from the rest of the midfield pack. But, the Pole, who finished above team-mate George Russell in both practice sessions on Friday, has seen at least some cause for optimism. “The car feels a bit different to [the] last two weekends, so that’s a good sign,” Kubica told reporters back in the Shanghai paddock. “We just did some changes just to understand and it’s not that we have some improvement. “It’s just something we changed in the characteristics of the car and it seems like it’s responding differently. 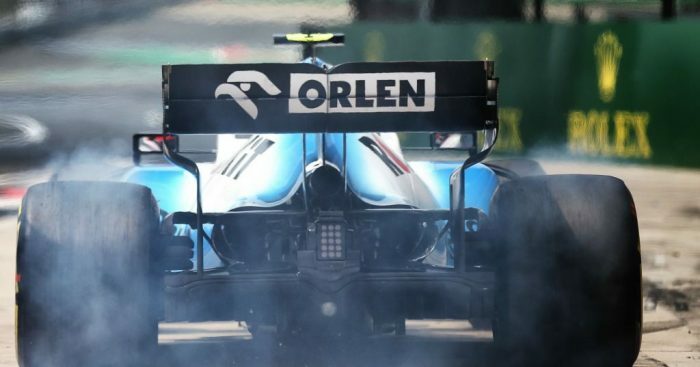 However, Kubica was not going to get too carried away with his positive feedback, especially relating to the pace of the FW42. “If we haven’t done anything to turn it around in the last two months, there’ll be nothing happening in 12 hours,” he added. Russell, though, is beginning to like what he is seeing from the data. “I think there were a few positives,” Russell added. Russell was then asked if the gains were coming from new parts or from a better understanding of the car, he replied: “We’ve got a couple of little new bits. I’d probably say it’s a bit of both. “Everybody is understanding the car, but I think we probably didn’t optimise it as much as everybody else in the previous two races.